Namecheap.com, one of the world’s largest domain registrars, web hosting and technology companies, is the first online merchant ever to collect over 1 million customer ratings and reviews on Shopper Approved – the fastest growing customer review company in America, according to Inc. Magazine. Not only has Namecheap surpassed the 1 million ratings and reviews milestone, they actively maintain an impressive 4.6 (out of 5) Star Overall Satisfaction Rating, indicating that 92% of their clients are considered “very happy” with the products and services they receive from Namecheap. Unlike passive rating and review services that allow virtually anyone to leave a review with little to no validation, all of Namecheap’s ratings and reviews come directly from active paying customers with recent verified purchases. This process gives every customer an equal opportunity to leave a review based on their own personal experience. It also helps to eliminate fraudulent reviews, because only active paying customers can leave a rating. In addition to the 4.6 Overall Satisfaction Rating, Namecheap also received excellent ratings in several categories including Price, Product Satisfaction, and Customer Service. Namecheap.com product offerings include top-level domains starting as low as $0.88, web hosting packages for as little as $2.88 per month and SSL certificates for only $8.88 a year. Namecheap is an ICANN-accredited domain registrar and technology company founded in 2000 by CEO Richard Kirkendall. Celebrating nearly two decades of providing unparalleled levels of service, security, and support, Namecheap has been steadfast in customer satisfaction. With close to 10 million domains now under management, Namecheap is among the top domain registrar and web hosting providers in the world. To learn more about Namecheap, visit https://www.namecheap.com. 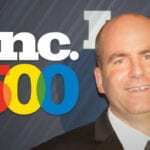 Shopper Approved has been ranked on the Inc. 500 as one of the fastest growing companies in America for the past two years in a row, and specializes in helping online merchants to actively collect, display, and syndicate their customer ratings and reviews to strategic locations online, including Google, Yahoo and Bing. To learn more, visit https://www.shopperapproved.com.